« Am I Really Immune To Outsourcing? 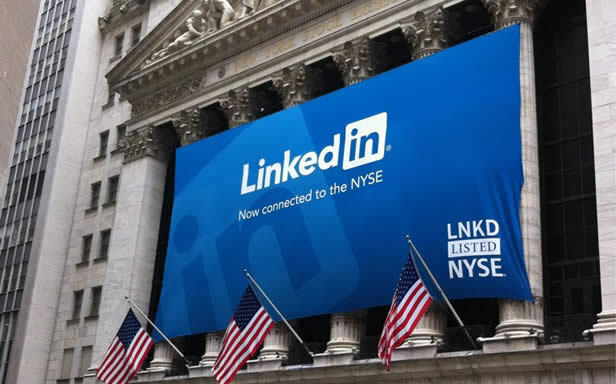 The most recent IPO of LinkedIn raised a lot of eyebrows. Starting off at $45 a share last Thursday, today’s stock price is a whopping $93. With this apparent huge demand and popularity analysts are expecting to see similar IPO success with other social media firms like Groupon and Facebook. Yes, there is enormous profit to be made being socially and commercially connected. I believe I was on LinkedIn much earlier than the birth of my Facebook life. Keeping business cards is a real chore and even if you have all of them nicely stacked in name card cases, they become obsolete in no time due to mergers & acquisitions, changes in company names, addresses and phone numbers, your contacts changing jobs, and eventually you find yourself totally disconnected from the business world, again. Having my business contacts’ profiles on LinkedIn makes my life so much easier. I can access them anywhere, be updated of their whereabouts, and no more obsolete corporate e-mail addresses due to personal movements. More importantly, I can choose to upload my business credentials onto my profile for selected access of my contacts, making self introductions less necessary in business meetings. Face it, knowing that you have been in the field for 11 years and being no stranger to competitors’ business, a subtle message of “I’ll not be fooled” is sent. Though for bulk of the last decade LinkedIn is filled with so-called headhunters and personnel agencies trying to extend their talent database. It’s not that bad actually if you are keen in knowing what’s out there, though at times it can get to be a bit annoying. It certainly saves time applying for a job through conventional means. Instead of approaching a headhunter or placement firm, now they come to you, and they come from all over the world with the convenience of a global platform. That happens of course, if you have put together an impressive and colorful enough resume on your profile that attracts attention. Although it’s impossible to gauge what recruiters and employers are looking for in each and every job opportunity, a detailed and comprehensive write-up won’t hurt. Unlike Facebook, you are responsible to manage your professional image in front of the world, and it’s worth spending the time to craft your message. With the functionalities of the two social networks getting more and more similar, it’s gratifying to know that none of your business contacts will see a tagged photo of yourself dancing drunk on the bar counter, appearing right under your career achievements.